For additional information about this book, visit the website soulfulsalesman.com. 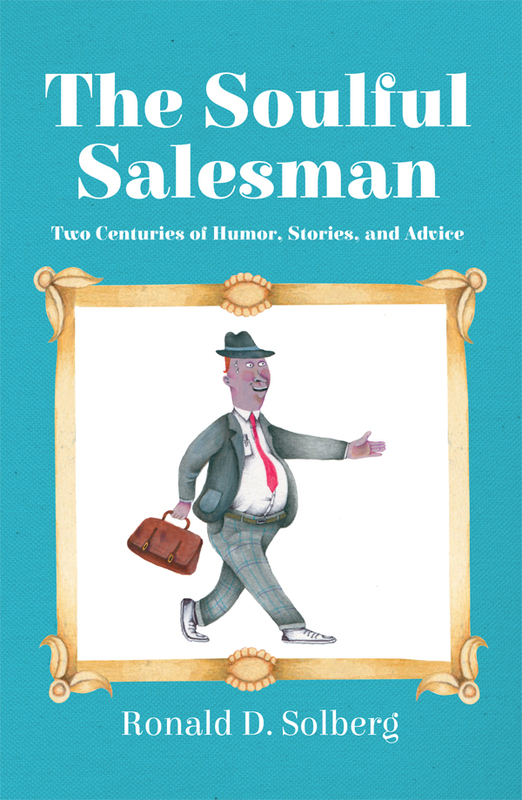 In perhaps the most comprehensive and entertaining treasury of salesman lore ever published, The Soulful Salesman provides us with the best of the best of salesman humor, advice, and stories. The book’s message is the timeless advice and counsel of nearly 200 different figures. The book also features dozens of stories, anecdotes, jokes, riddles, definitions, and one-liners, spanning more than two centuries of Americana. Solberg includes personal essays that tap into his personal experience with salespeople who have influenced him. Solberg grew up as the son of a Fuller Brush Man, eventually becoming a door-to-door salesman, working his way through college by selling brushes brooms, and waxes. Following graduation, he taught high school English and journalism before working as a Chicago-area association and corporate public relations and marketing executive. Most recently, after completing his first book on the history of America’s traveling salesman—The Whizbangs of Oohs and Ahs—he was recruited by the Illinois Humanities Council to serve on the organization’s Road Scholar speaker’s bureau program for a two-year stint to speak about his favorite topic—the traveling salesman.